Back when I last mentioned my desire for a Kitchenaid stand mixer, one of our readers commented that having one was like having a Ferrari parked in your kitchen. So what’s shinier and cooler than a Ferrari? Good question, and I don’t know – but I do know that the Platinum stand mixer from Kitchenaid is some serious kitchen bling. It was around the time of our last Mothers’ Day wishlists that I started dropping not-so-subtle hints about my longing for the Artisan stand mixer – and sadly, but not unexpectedly, it was a gift that didn’t come my way. But now I can see that it was all for the best, because Kitchenaid has just released their new Platinum collection! 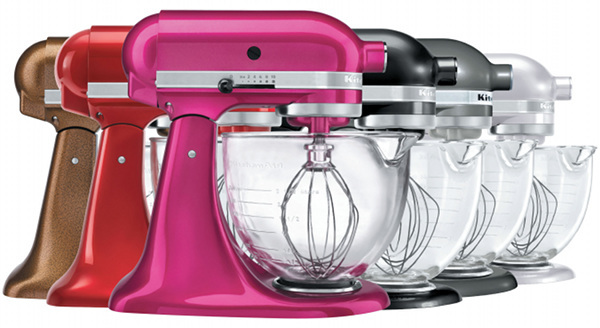 And if I already had a stand mixer, there would be no chance of one of these little babies turning up in my kitchen. 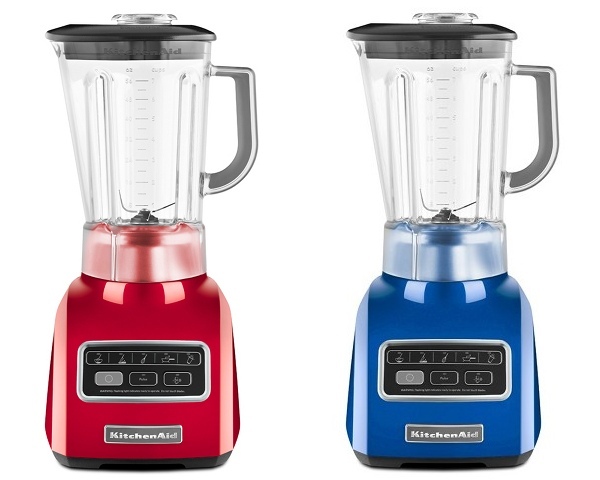 Of course, the Kitchenaid Platinum range includes more than just the stand mixer – there’s also a blender ($379) and a coffee maker ($215) due to hit stores soon. The stand mixer is $799 and comes in eight new metallic colours, the blender in five colours, and the coffee maker in silver. The Platinum range is only for limited release (unlike the regular Artisan range). You can have a look at the colour range at Kitchenaid and purchase them from Myer or The Essential Ingredient in New South Wales, and Matchbox in Queensland, Western Australia and Victoria. A special thank you to Matchbox for the stunning image at top.